Around 20% of FTSE 100 companies, and many private companies, employ professional archivists to actively exploit their business records. Why? Archives can be used in marketing and customer relations to increase brand knowledge and awareness. Archives have direct commercial value as a source of new product innovation they are literally full of ideas that can be re-discovered and re-packaged for todays market, delivering authentic classic, retro and vintage style. Every company is unique with its own story of achievement, company culture, reputation, products and people. Telling your story – through product literature, websites and employee induction materials – can create the kind of loyalty and pride that in tough markets leverages a real competitive advantage. The archive is the memory of the business – holding knowledge and evidence of commercial activities, forgotten when people move on. Archives can provide evidence against hostile litigation, trademark infringement, or assault on reputation. More routinely, they provide an unparalleled source of management information. Exposure to the corporate memory shows todays employees, from boardroom to shop-floor, that your company has already weathered political and economic uncertainties, technological and organisational change, growth and recession. Whatever your business, whatever your sector, by keeping archives you capture todays experience, knowledge and company know-how for tomorrows management team. Its a powerful tool, its company-generated so dont throw it away! Reverse of bank note issued by HSBC in 1909. 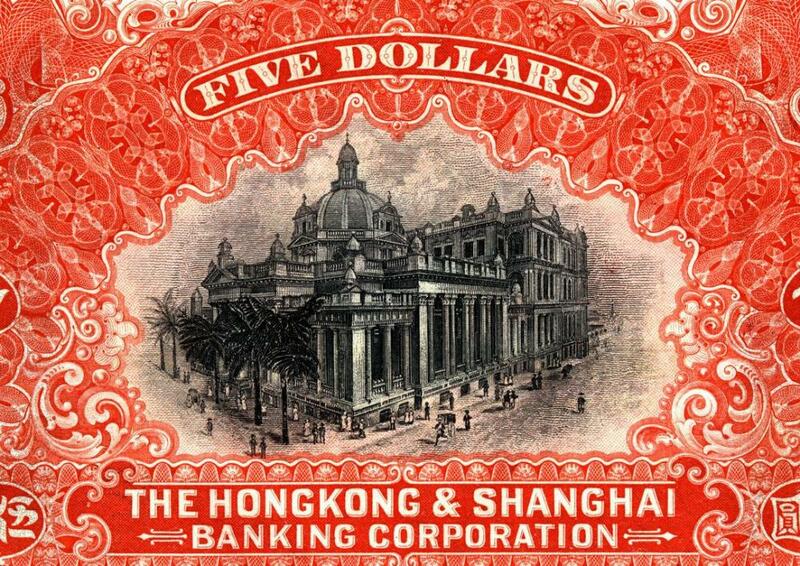 Image courtesy of HSBC Archives.